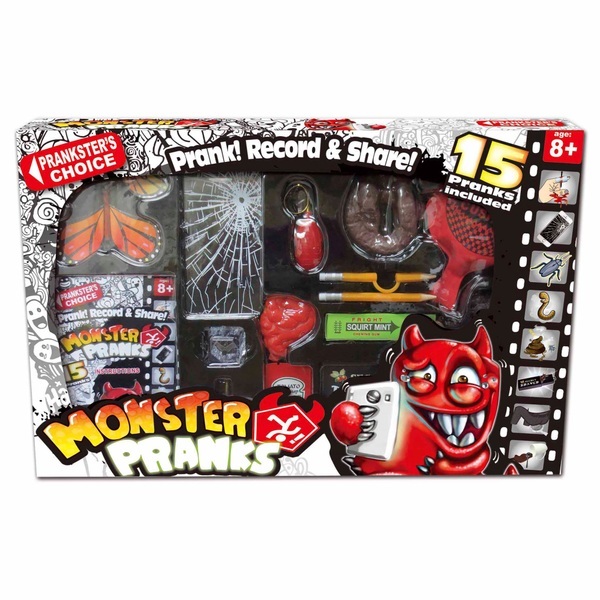 Become a professional prankster with this fun practical jokes set! This practical jokes set comes with some special props which all look realistic enough to freak out your friends. The included instruction manual will reveal all the secrets you need to know to begin your pranking and to awe any unsuspecting onlooker. Includes an instruction book, fly in ice-cube, nail through finger, a realistic soft pencil, pencil through finger, squirting gum, coffee spill illusion, realistic cockroaches, dog poo, bugs and worms, scary fly trap, big fly, whoopee cushion, water ring, broken glass, secret drawer box and ketchup spill trick.